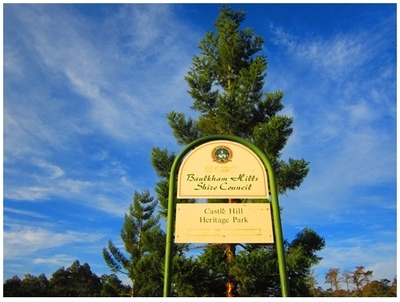 The historical Castle Hill Heritage Park is located in Castle Hill - a North Western suburb of Sydney. 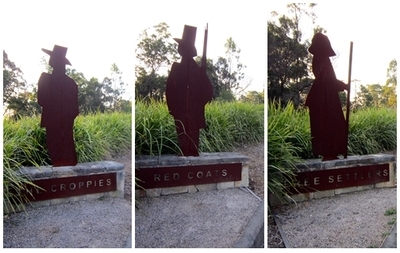 It is surrounded by 20 hectares of wooded slope, gullies and bushland. The site has over 200 years of history after the Castle Hill Rebellion. It was formerly a Government Farm Land from 1801 - 1811, declared to be created by Governor King. Acres of land were cleared convicts who were mostly Irish and a two-storey barrack was built to store the grains and the convicts. The barrack was later converted to Lunatic Asylum in 1811 - Australia's first asylum for the mentally ill. After it was closed down in 1826, the ground became the site for the first church and school in the district. The remaining years from 1870 to 1960, the land was occupied by a community of thriving farms and orchards including turkeys, mushrooms, horses, and sheep. Archeological search undertaken by the Baulkham Hill's shire council has unearthed the foundation of barracks and a kitchen block. 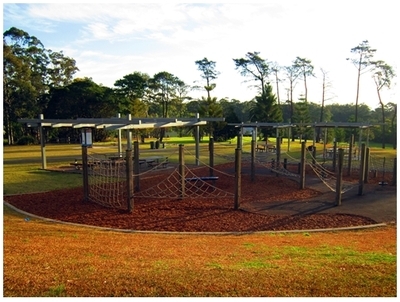 The park was officially opened to the public in March 2004 for the public's enjoyment and recreational activities. There are many things for visitors to do and see in this picturesque heritage site surrounded by lush green scenery. 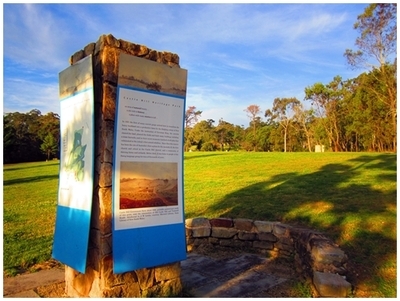 Walk along the track and learn more about the site history through well-posted interpretive signs. 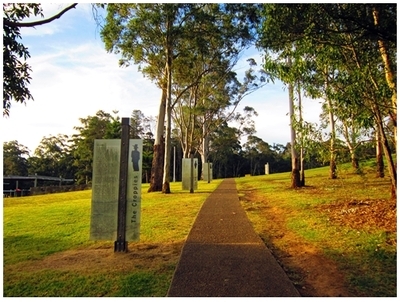 The concrete walking track is built encircling the park and is great for walking exercise. Older children are welcomed to climb frame and super nova in the playground area. Picnic facilities are also available for use including several sheltered picnic tables and benches. However, no BBQ facility is provided at present. Onsite car parking is ample and the site is mostly accessible to the disabled. Whether you are a local or a visitor, plan some time to spend a beautiful weekend in this peaceful and tranquil place.